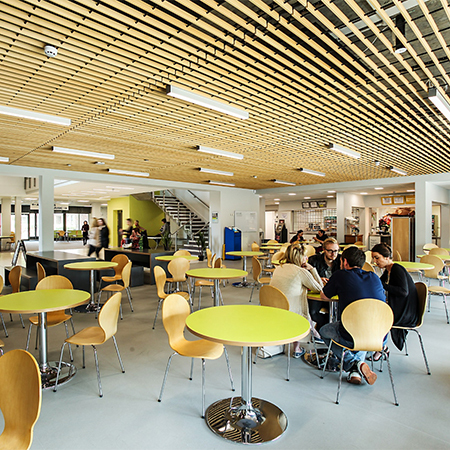 A West Sussex college has been enhanced with a stunning grill ceiling, manufactured by Hunter Douglas, a global leader in architectural products. 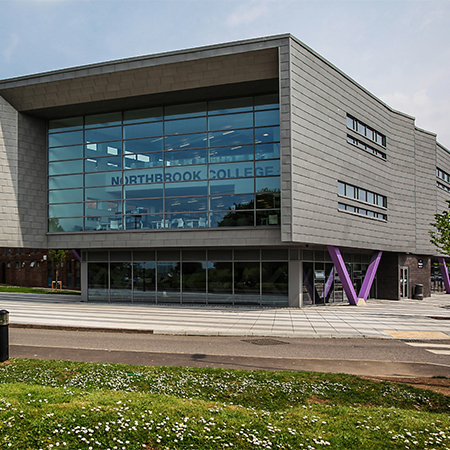 The third phase of development at Northbrook College, in Worthing, comprised an extension and refurbishment of the construction trades and engineering workshops and classrooms at a cost of £2.2 million. 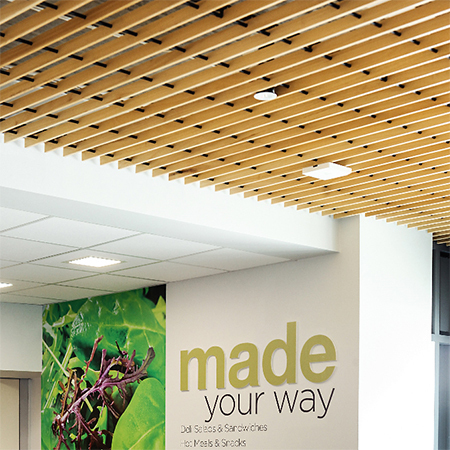 Hunter Douglas Architectural, which manufactured 300m2 ceilings for the college’s first two developments, supplied a further 300m2 of solid timber grill in 4-90-15-45 module in African Ayous for the common areas and reception in the newest scheme. 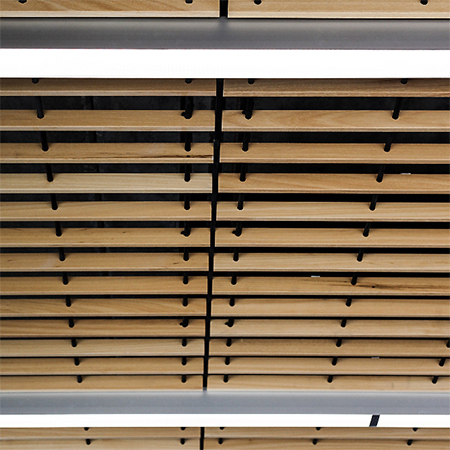 The solid wood grill panels are constructed using black aluminium dowels, which are clipped onto a black grid system, making an unobtrusive suspension system but allowing easy access into the void. Hunter Douglas worked with ECE Architecture to undertake all the layout working drawings from the Autocad design to ensure that the specification and panel dimensions were accurate. The installation was completed quickly and easily because the panels were factory finished to exact sizes, meaning no site-cutting was required.